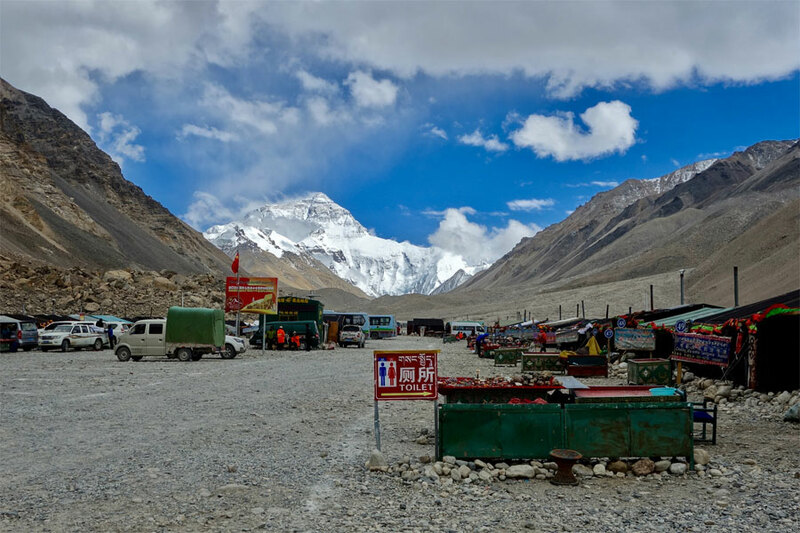 Everest Base Camp Jeep Tour – The tour starts off in Kathmandu, the capital of Nepal and the capital of Nepal’s culture, religion and architecture. The vibrant history of this mystical and ancient place has left its mark in the distinctive architecture that ornaments the city. The Himalayan giants are visible from the city itself and combine with the ancient architecture for spectacular views. We’ll take you to the edge of the Kathmandu valley to the famous tourist destination of Nagarkot Village, where you will get an even more spectacular view of the Himalayan range. Your journey continues to Tibet – a secluded piece of land rich in spectacular landscapes, mystical monasteries and vibrant culture. See the beautiful Tibetan cities and towns of Lhasa, Gyantse, Shigatse and Rongbuk, where we’ll visit popular landmarks like the Dalai Lama’s Potala and Norbulingka Palaces, the Tibet Museum, Barkhor Bazaar and Gyantse Dzong, as well as impressive Tibetan monasteries like Sera, Drepung, and Jokhang Temple. 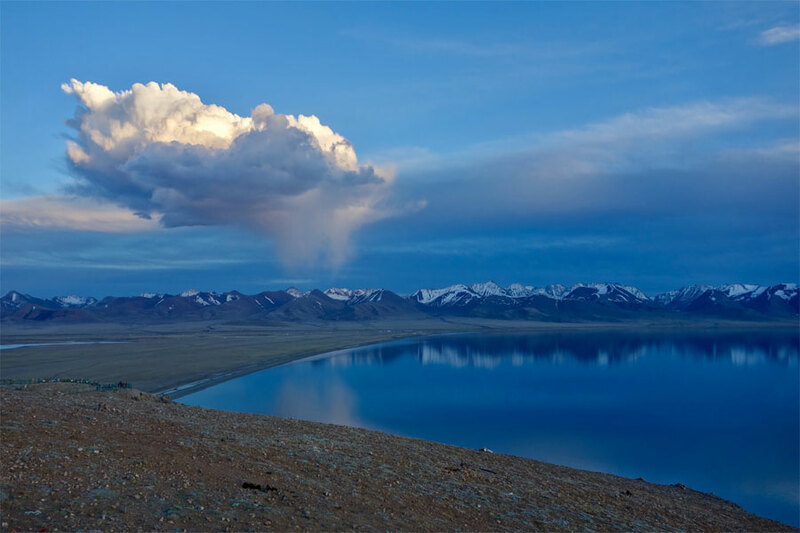 We also cross several passes and visit the beautiful YamdrokTso Lake on our trip. Afterwards, drive across the Tibetan highlands and high passes to the fabled Rongphu Monastery and Mt. Everest Base Camp from where the view of the great North face of Mount Everest is the most spectacular of all. On your arrival at Kathmandu Airport, you will be met by our representative who will take you to the hotel for overnight. Today, sightsee around the Kathmandu valley and see the Durbar Squares. Visit Bouddhanath, one of the biggest and most impressive stupas in Nepal, and Swayambhunath, also known as Monkey Temple, perched above the city. Take the day to receive your Chinese visa, rest, and prepare for your trip. On arrival at Gonggar Airport, you will be transferred to your accommodation in Lhasa for check-in (1-hour drive). Rest up for the rest of day to acclimatise to the high altitude and overnight in Lhasa Hotel. After breakfast, you will have two full days sightseeing in one of the highest cities in the world, at 3,650m. Discover the numerous culturally significant Tibetan Buddhist sites such as the spectacular Potala Palace, the former home of the Dalai Lama, the Norbulingka Palace and the Jokhang Temple. Stroll through Barkhor Bazaar, the oldest street in Lhasa. Experience the street’s religious atmosphere, get lost in its old traditional alleyways and go shopping for exotic souvenirs. Another day in Lhasa sightseeing, You will visit Lhasa’s majestic monasteries such as the Drepung Monastery and the Sera Monastery, both located at the foot of a hill. After breakfast, begin the drive from Lhasa to Gyantse (3950m), Tibet’s third largest city. On the way, we will go up and over the high passes of Kora La [5010m] and Kamba La [4794m], the latter offering you an incredible view over the deep turquoise Yamdrok Lake with huge snow-capped peaks in the distance. Sightsee in Gyantse and catch a glimpse of how local people live. Visit the famous Pholkor Monastery and its Kumbum stupa of nine floors with unique chapels – considered the largest Kumbum in Tibet and Gyantse Dzong. In the afternoon, travel overland for about one hour and a half to Xigatse [3900m], the second largest city in Tibet, through the typical Tibetan countryside. 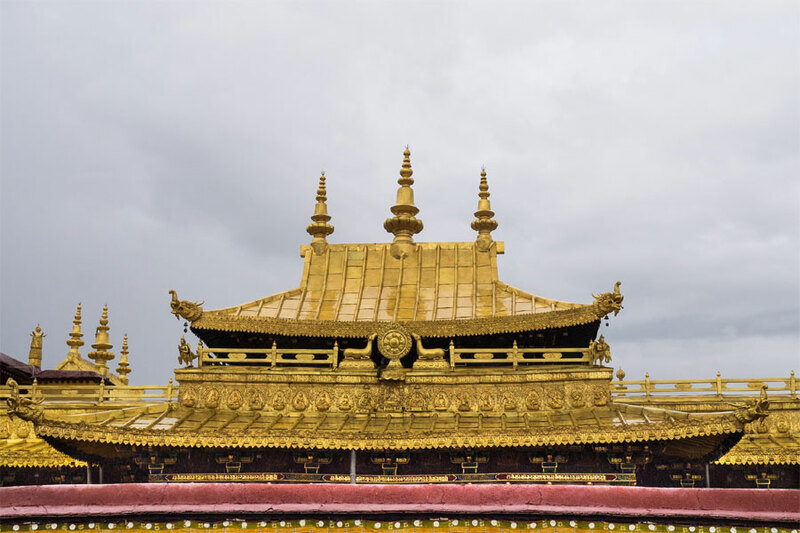 Visit the magnificent Shakya Monastery at Shakya, one of Tibet’s most impressive constructed sights, and one of the largest monasteries. Explore this immense complex and wander through its mysterious alleyways. Later, drive to Rongbuk through the spectacular Tibetan countryside and explore its monastery, the highest in the world. Along the way, enjoy the impressive views of the Himalayan Ranges. Once you arrive in Rongbuk, located at the foot of the Rongbuk Glacier, take the time to admire the stunning scenery all around and the breathtaking views of Mt. Everest’s north face. Early in the morning, enjoy the awe-inspiring sunrise over the roof of the world standing in front of you. Later, rent a horse cart or walk to the famous Everest Base Camp where trekkers prepare their ascent on this world-famous peak and explore the surroundings. Here again, you can appreciate the magnificent Everest towering above. Then, drive from the arid Tibetan Plateau to Tingri for overnight in a guest house. In the early morning, depart from Tingri to Lhasa via Shigatse. The drive is a route not previously driven on this tour and is shorter than Gyatse way. Fly back to Kathmandu today and enjoy a full leisure day of shopping, enjoying food, exploring or just resting. Transfer to the airport for your return trip home or elsewhere.